When you have something important and secure to mail that requires verification of receipt, USPS Certified Mail will confirm that your documents will arrive at their intended destination. There are several options to prepare and track certified mail, but they are tedious, time consuming, and expensive. So, how do you get around all that? Just print your documents to a PDF file and upload it to the DocuSend website as usual. Then go to Review Individual Documents and select which documents you want to be mailed Certified under the Special Handling dropdown menu. That's it – you're done! Your document tracking number will be posted on your secure DocuSend portal by the time it mails the next business day. 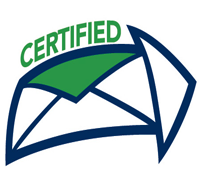 What is the easiest way to handle certified mail? Your business can gain a professional edge by avoiding any or all of the above time consuming, repetitive tasks simply by trying DocuSend. Once you’ve used us as your cloud-based mailroom, we're sure you'll never go back. 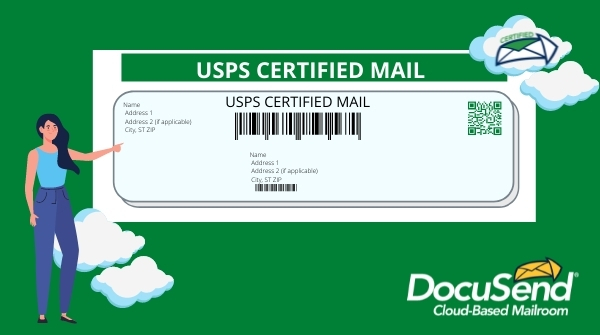 It's faster than buying a stamp – even for certified mail! GET STARTED TODAY!